Dickens staggers, clutches his chest and falls dead. Seconds later he leaps up describing his final moments and re-living his happiest years: the last twelve. 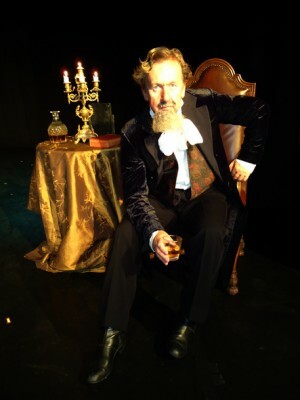 Publicly reading and performing his stories, and finding secret love with a young actress, Pip's powerful portrayal sees Dickens depicted not as the grave, serious man of myth but a man full of energy, passion and fire, a great way to celebrate the 200th anniversary of Charles Dickens's birthday.